Do you have a New Year’s resolution when it comes to easier, more streamlined payroll each pay period? Using direct deposit and smartphone apps is not only employee-friendly, but may help make your current payroll process smoother and quicker. 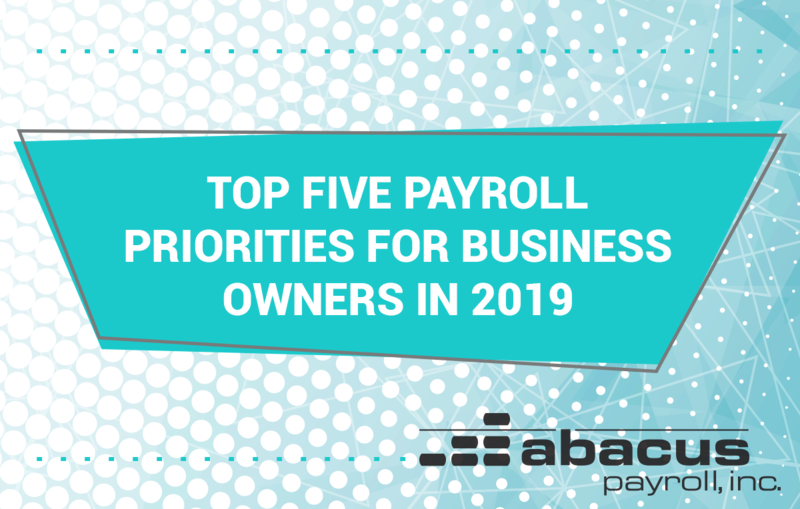 Not to mention, outsourcing your payroll can free up administrative time, allowing business owners to focus on other aspects of running and growing the business. 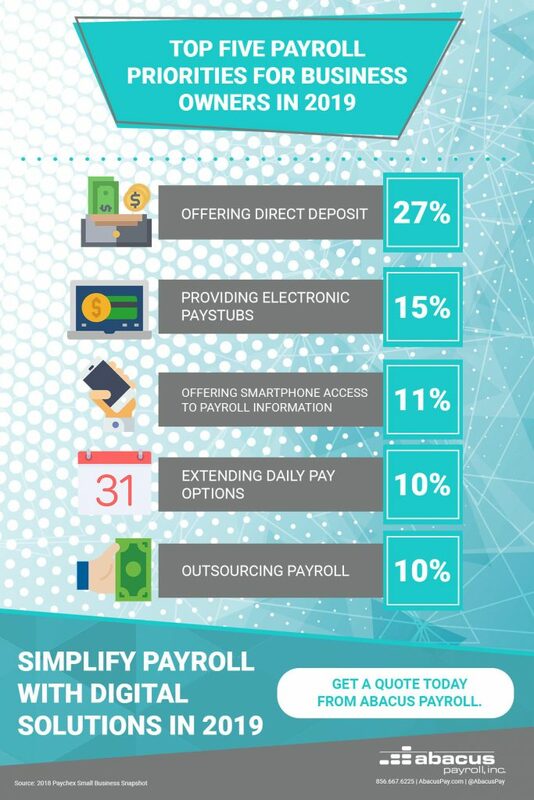 If you’re ready to begin simplifying your payroll with digital solutions this year, contact Abacus Payroll at 856.667.6225 and start off 2019 with better and faster solutions.